As an American pioneer you had to be smart, determined and brave to make the journey west. If you did not have these traits there would be no possible way to make it west when everyone else was. 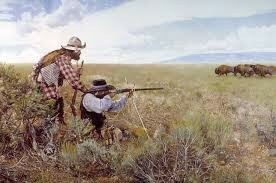 As a pioneer during the westward expansion it was very important to be determined. They had to walk everyday for a couple of months on end and they had sickness and other dangers along the way too. The quote from "On The Plains in 1844" "...with camp fever and a sore mouth, she fought bravely against fate for sake of her children, but she was taken delirious soon after reaching Fort Bridger, and was bed-fast." This quote illustrates how even the women had to work hard to make it west and to protect her children. 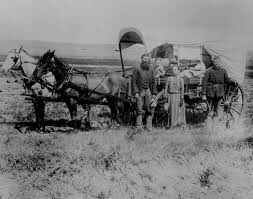 As a pioneer during the westward expansion you needed to know how to hunt, steer cattle, make food, get safe drinking water and make medicines. If they didn't know how to do any of these in case of emergency the pioneers would not even be able to make a quarter of the journey. Diseases were common for pioneers because the had to drink dirty water and if they did not know what to do when they got a disease they would most likely die. In the book Weasel by Cynthia DeFelice Molly and Ezra knew how to treat Pa's wound and if they didn't Pa would most likely die from infection. Also if the pioneers could not find water they would get dehydrated and death would come soon after with the heat and dryness of the plains. 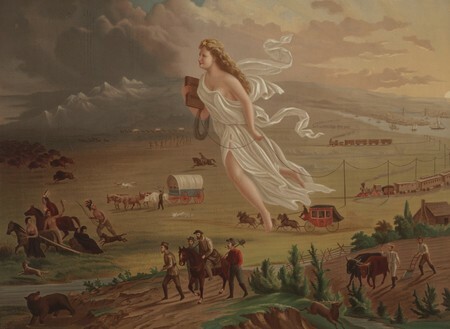 As a pioneer during the westward expansion you had to be brave enough just to start your journey and when you start your journey you will have to be brave enough to keep going. Making it all the way west was a very hard task because of sickness, dehydration and injury.The quote "On The Plains in 1844" "Though feeble, father seized his gun and gave chase to them." explains how you had to do whatever it took to keep moving forward and make it west. Davidson, James West and Michael B. Stoff. America History of Our Nation. Boston: Pearson Education, Inc., 2006. Print. Murphy, Dallas. Read Aloud Plays Pioneers. New York: Scholastic Inc., 1998. Print. Zinn, Howard. A People’s History of the United States. New York: The New Press, 2003. Print.